Our current thermal in situ oil production capacity is approximately 160,000 bbl/d between Primrose/Wolf Lake and Kirby South. 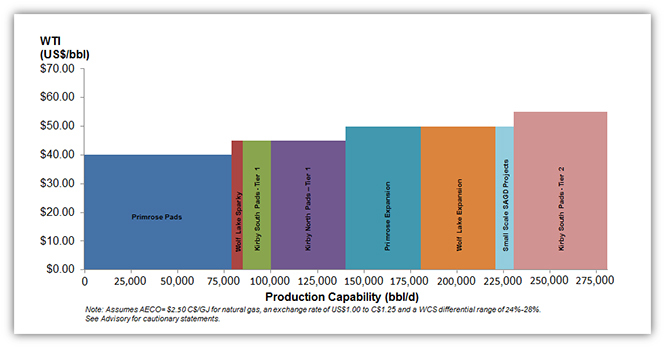 With the addition of the Kirby North development, thermal in situ production capacity is targeted to reach 200,000 bbl/d in early 2020. Beyond this mid-term growth, Canadian Natural has a large opportunity set within its high quality thermal in situ resource base for a multi-year thermal development program in a cost-effective and disciplined manner.